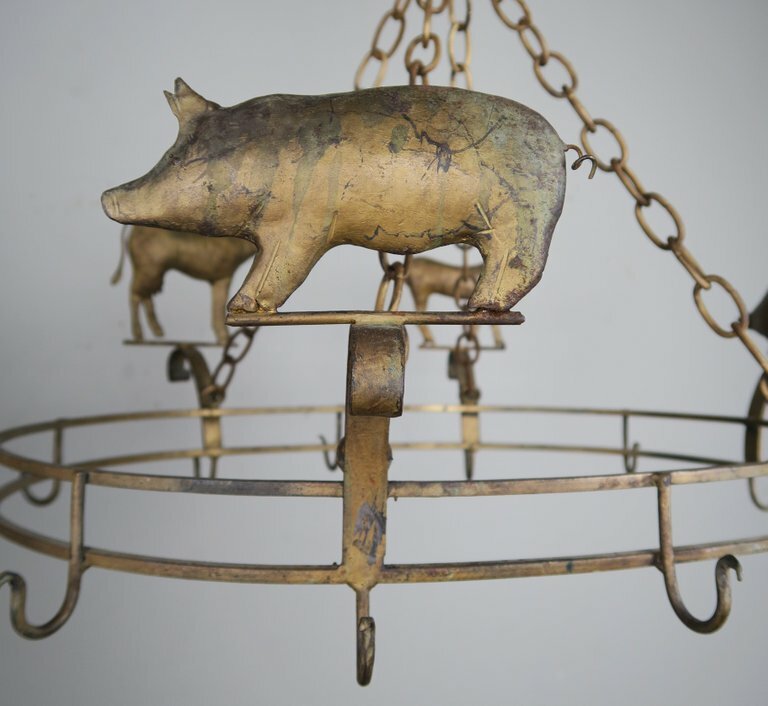 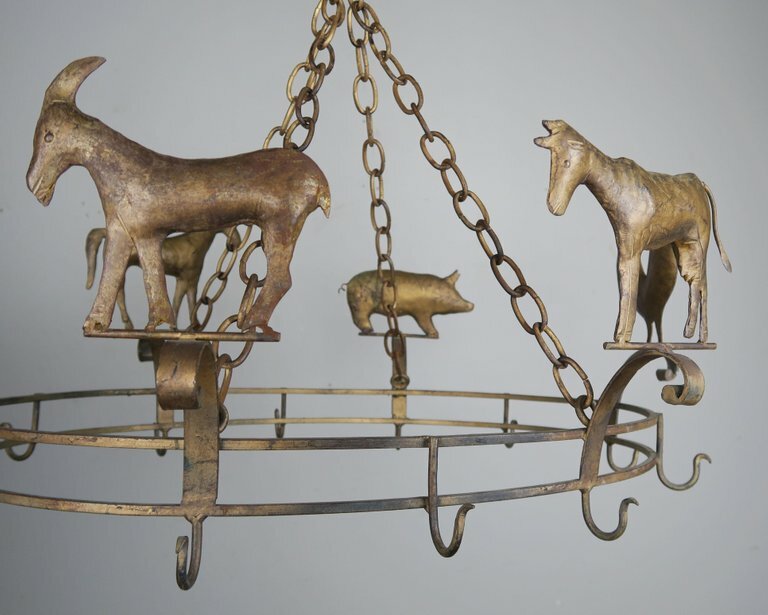 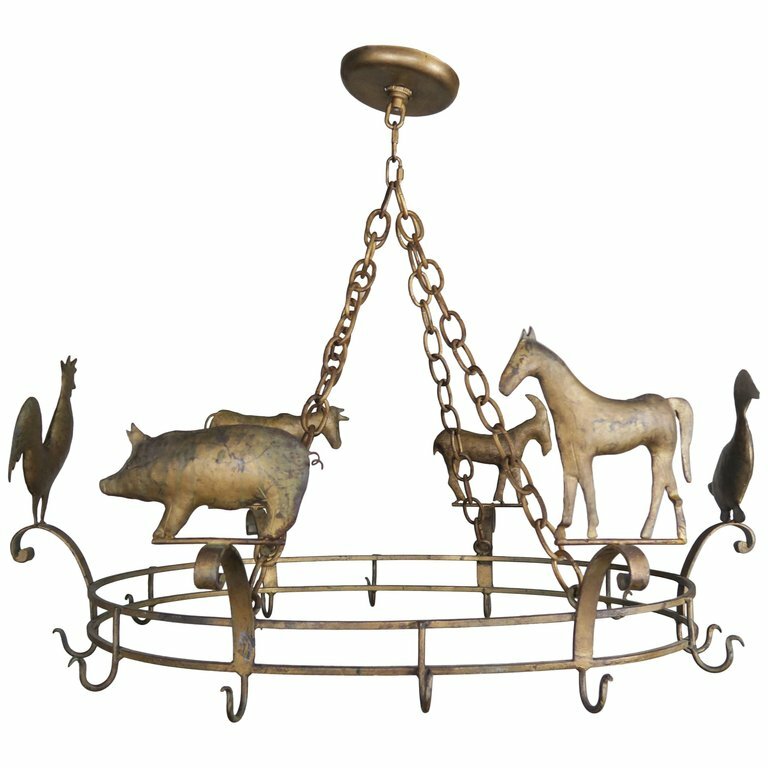 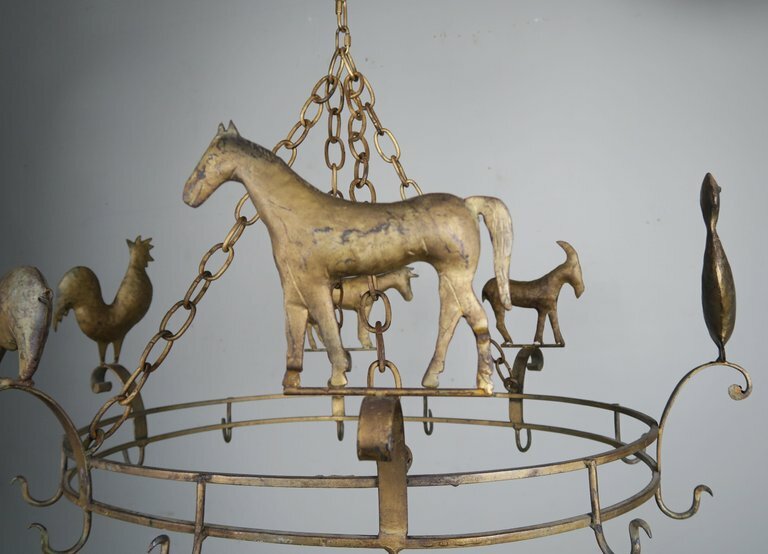 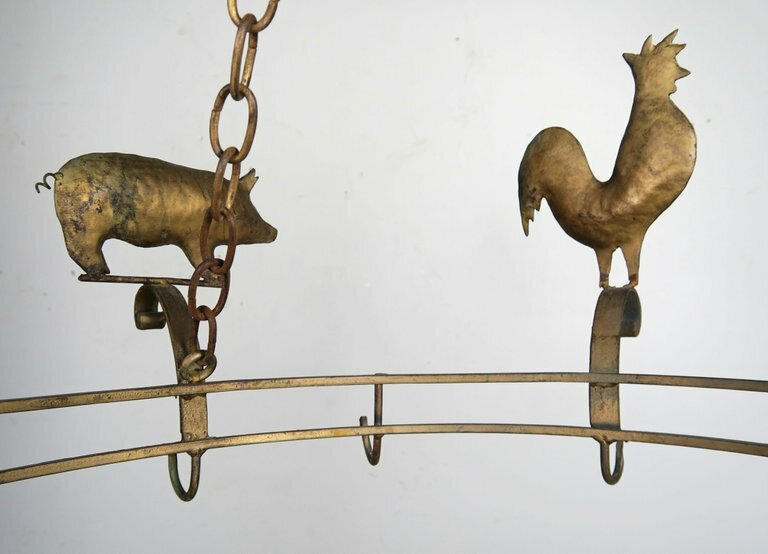 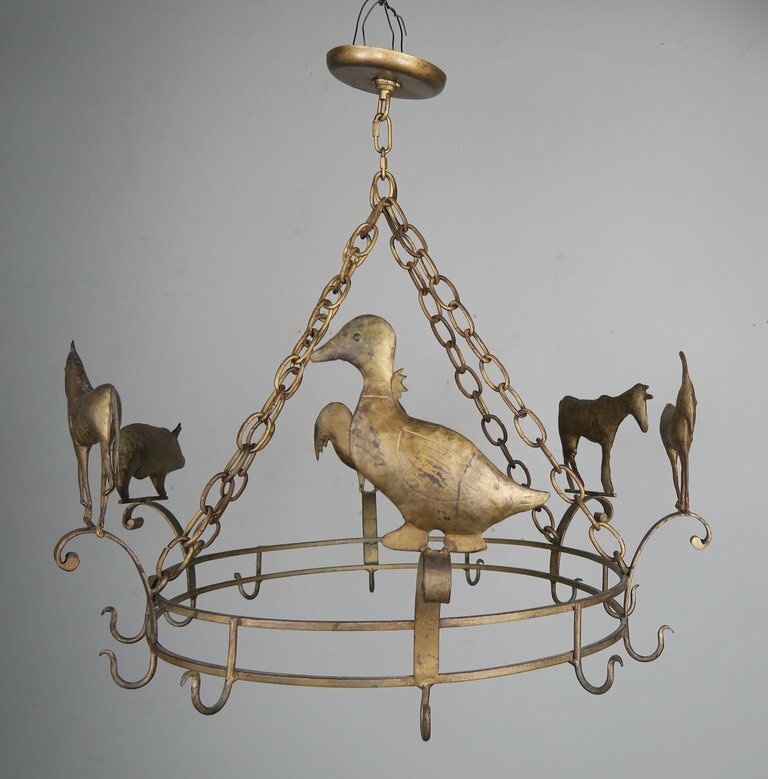 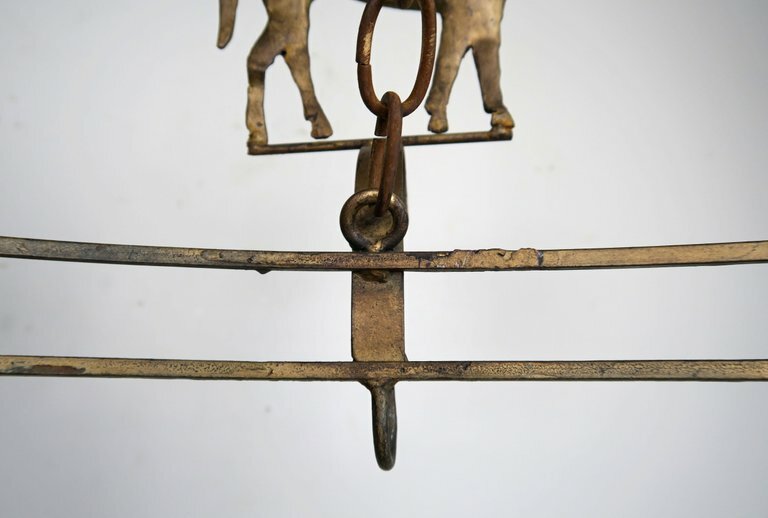 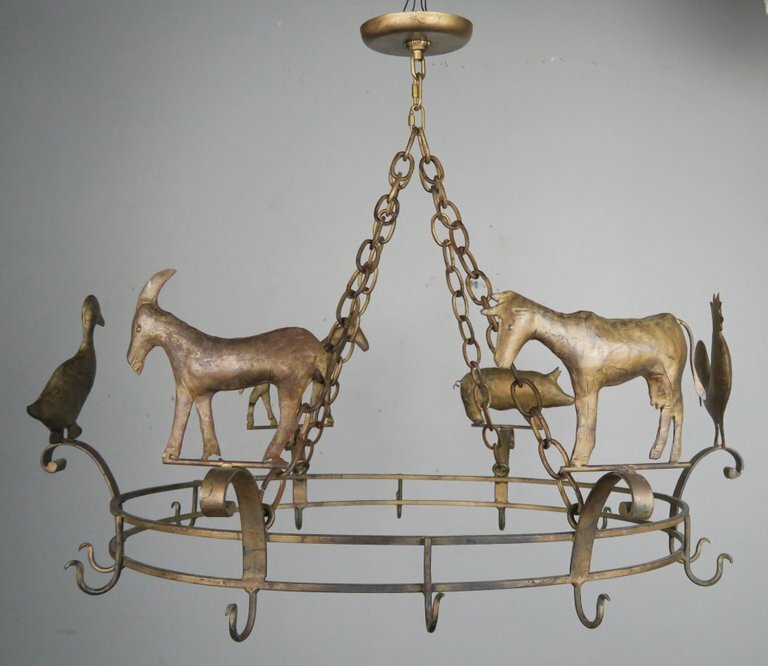 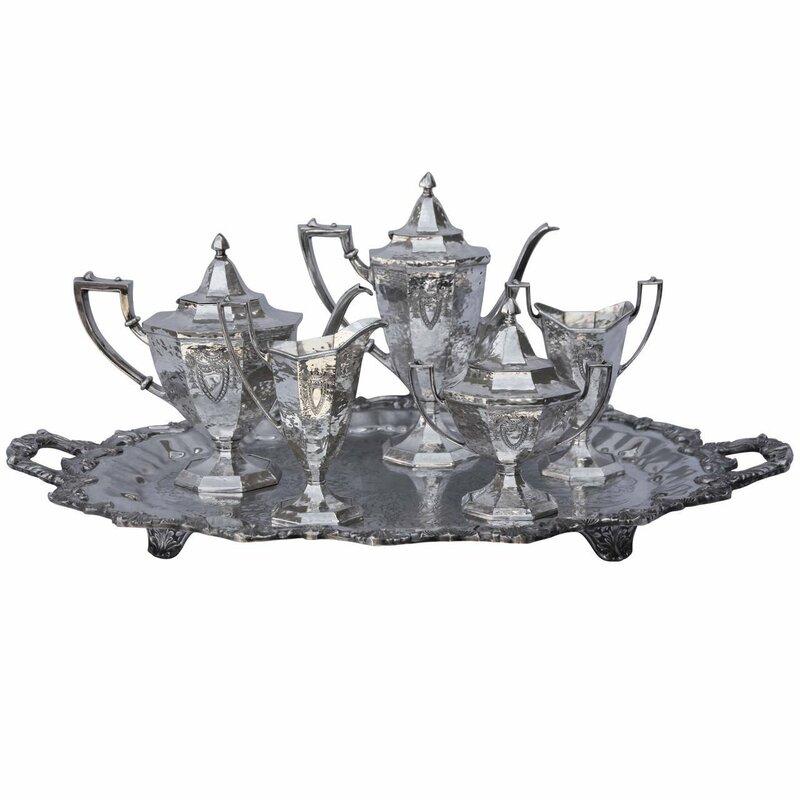 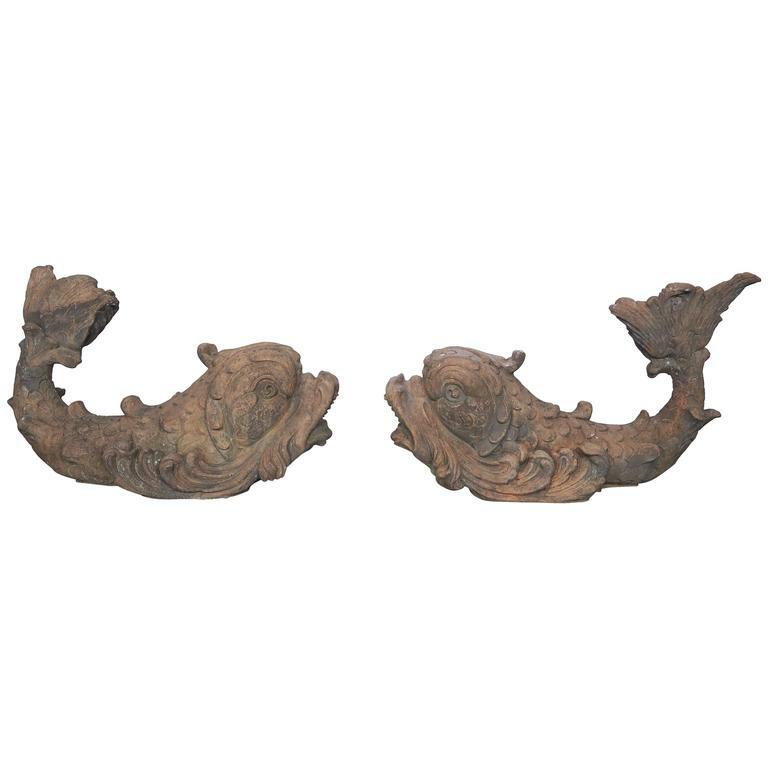 Charming gilt metal pot rack depicting farm animals; horse, pig, goat, cow, rooster and more. 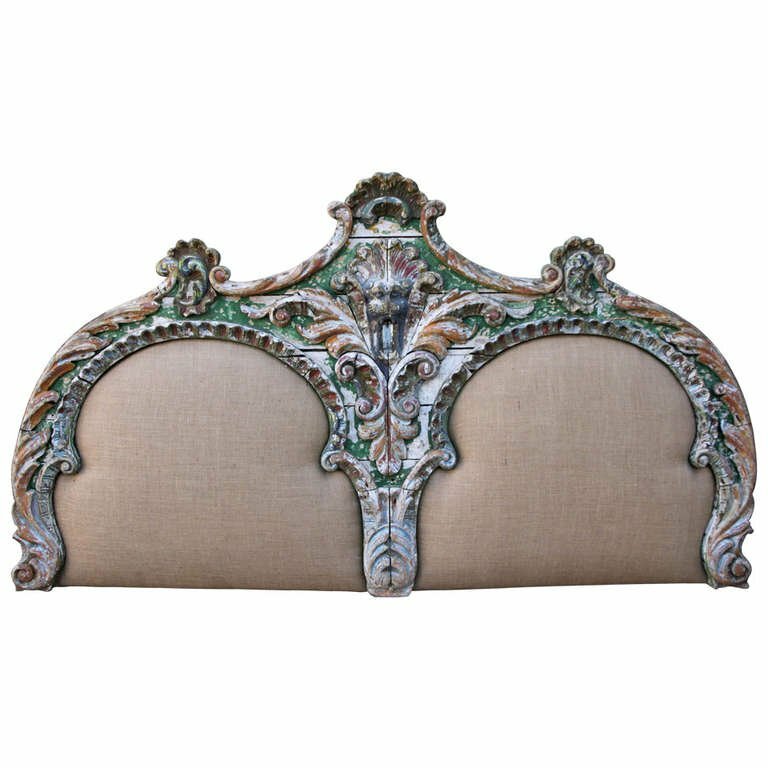 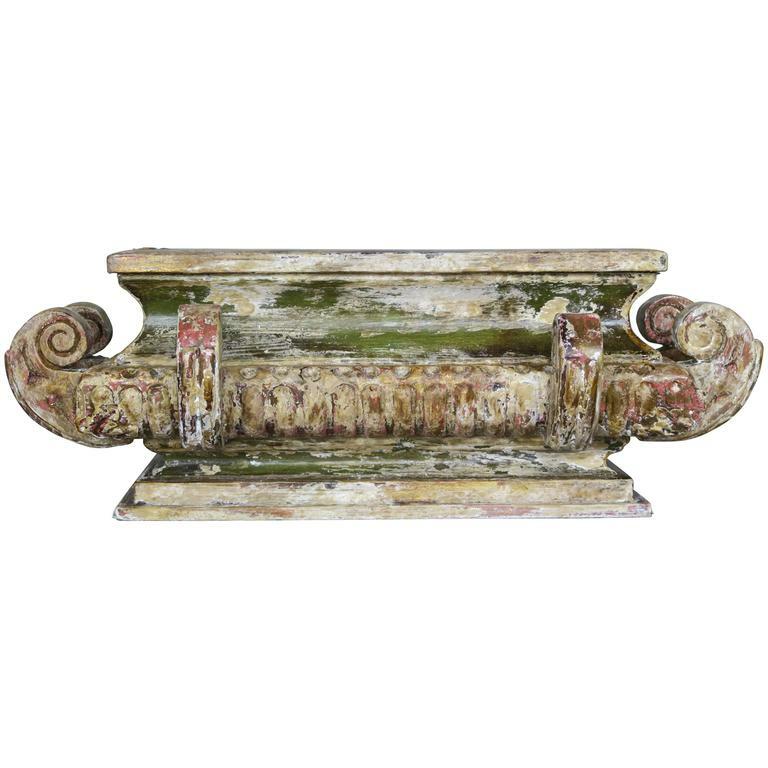 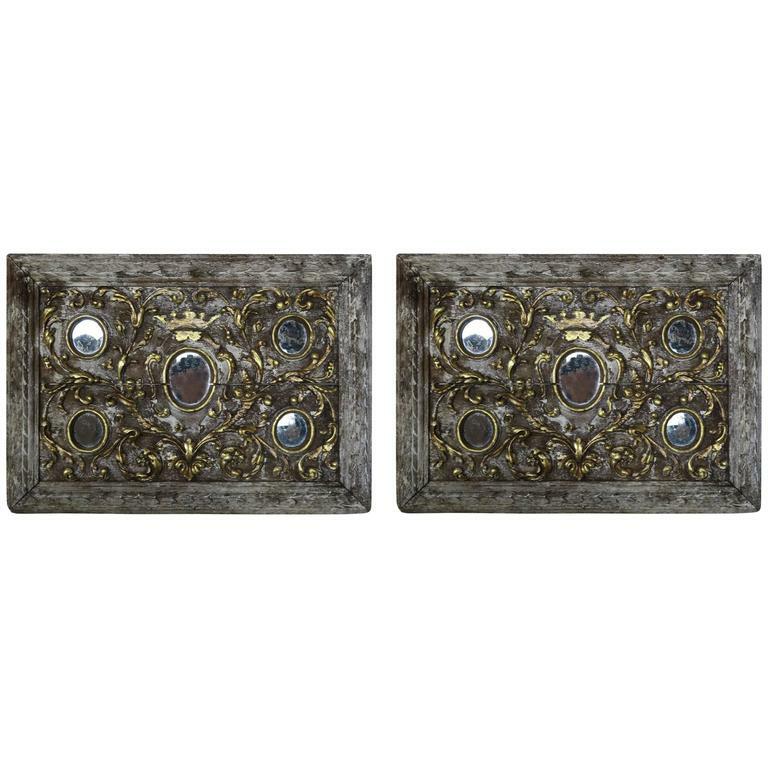 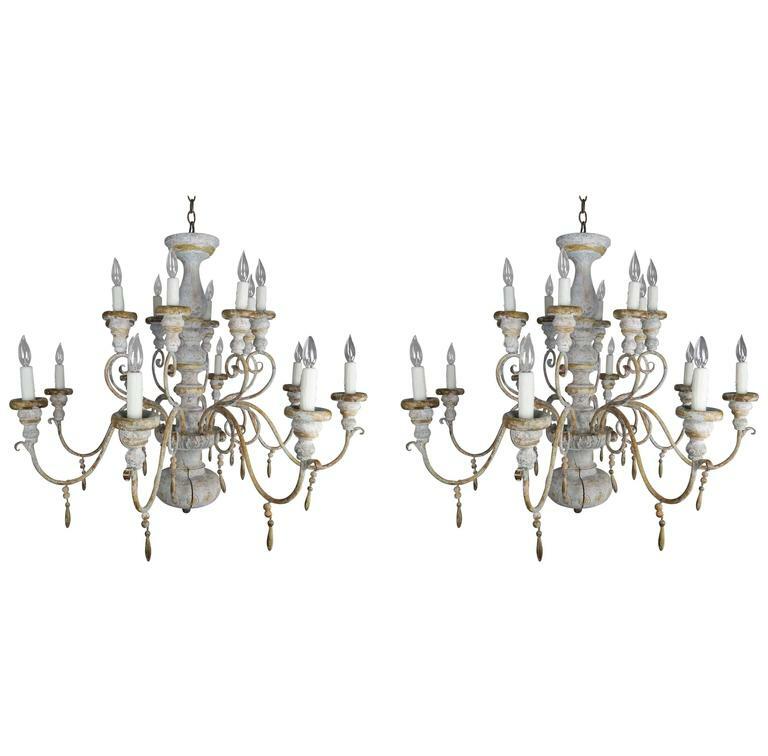 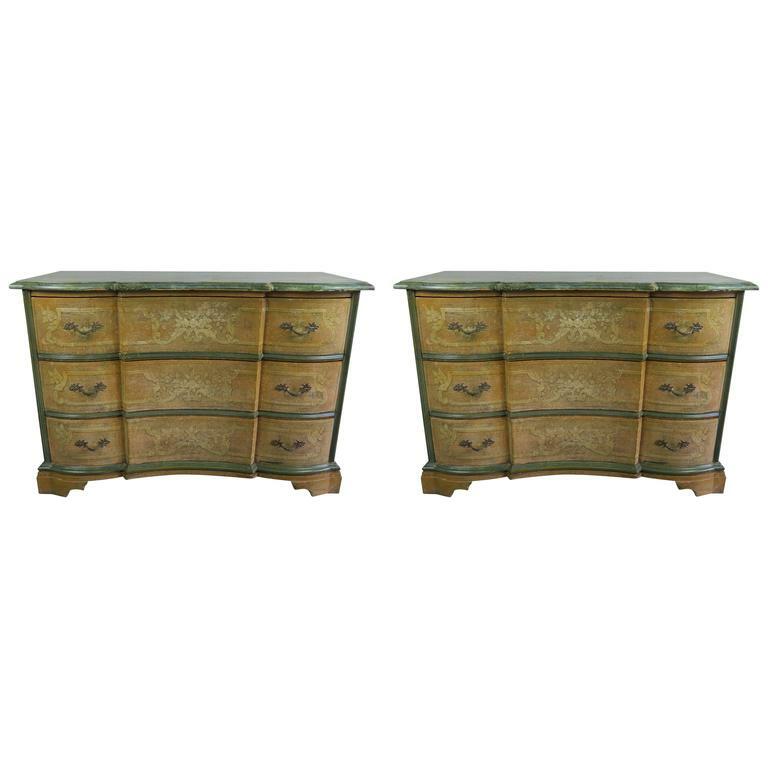 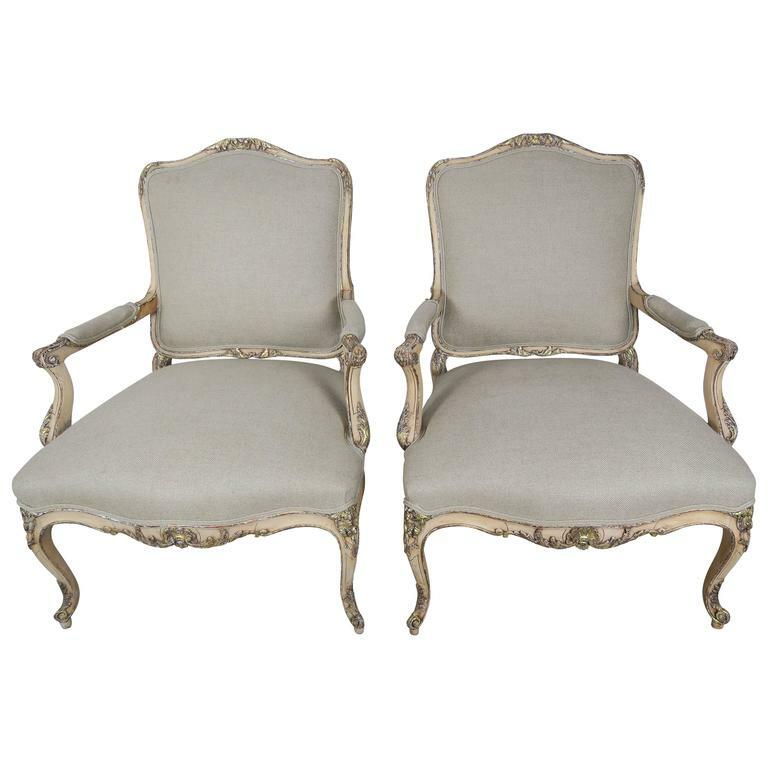 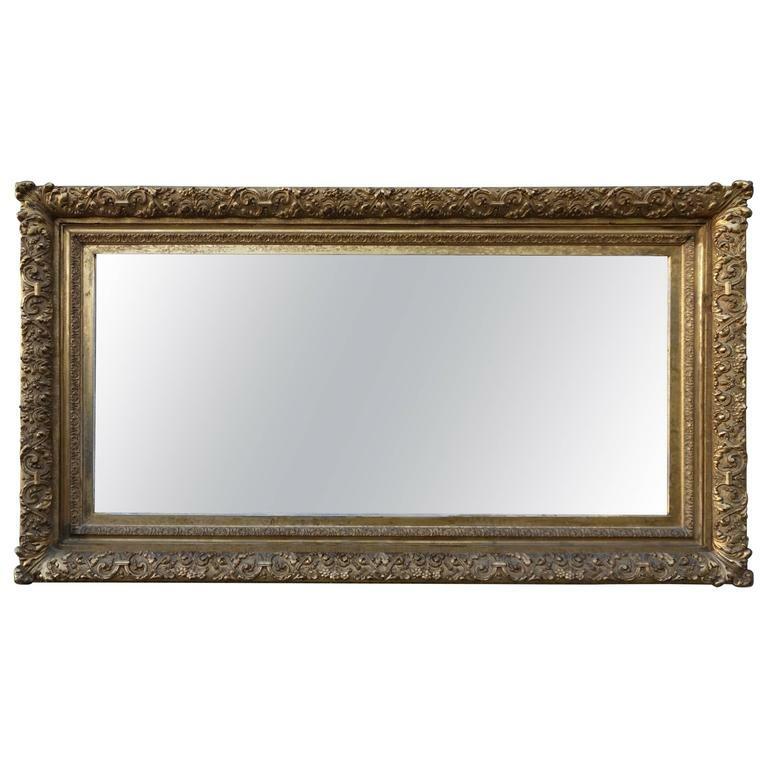 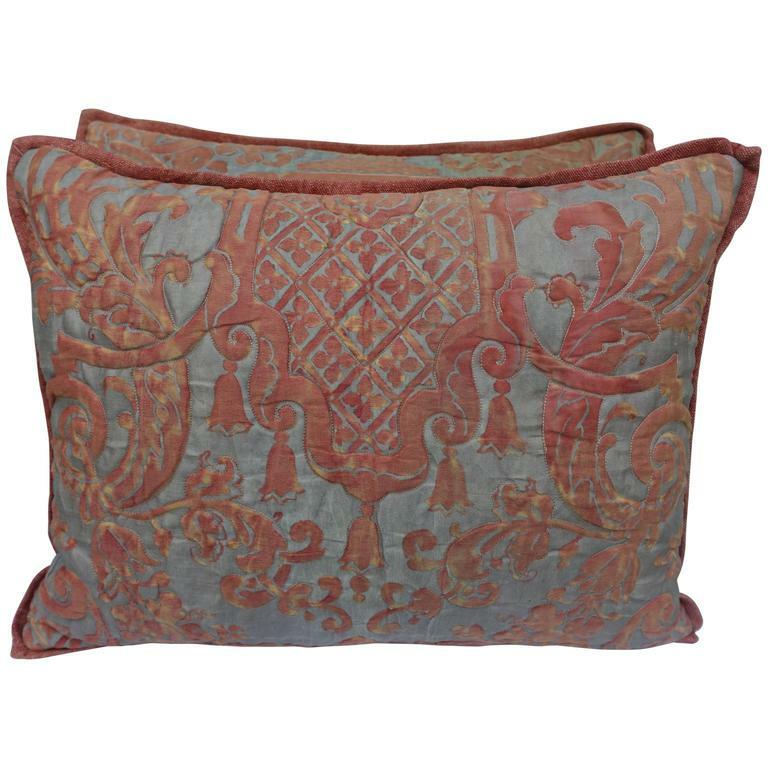 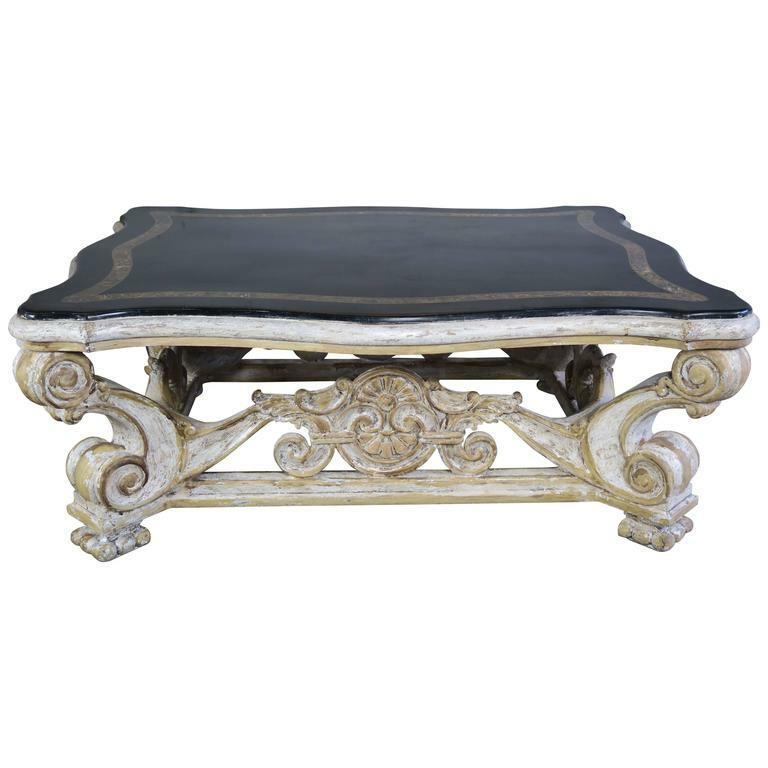 Distressed finish with missing gold. 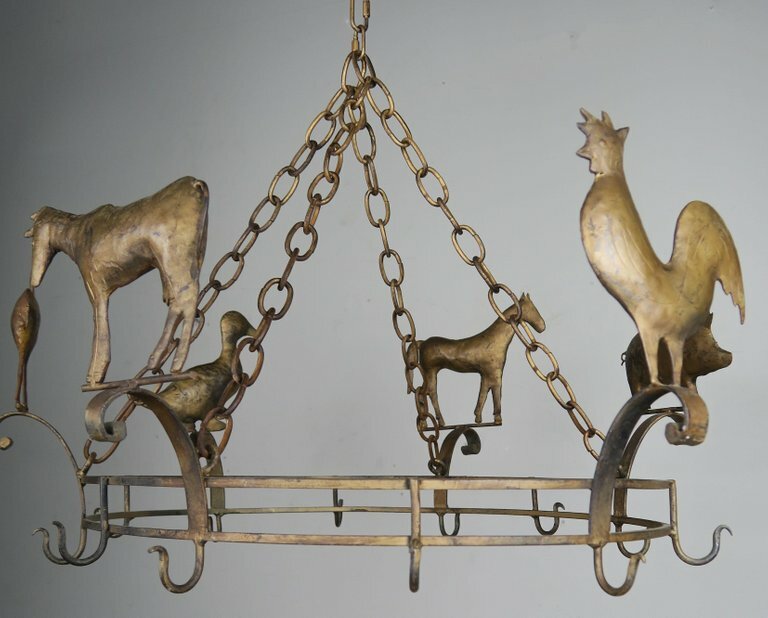 Chain and canopy are included and the piece is ready to hang.